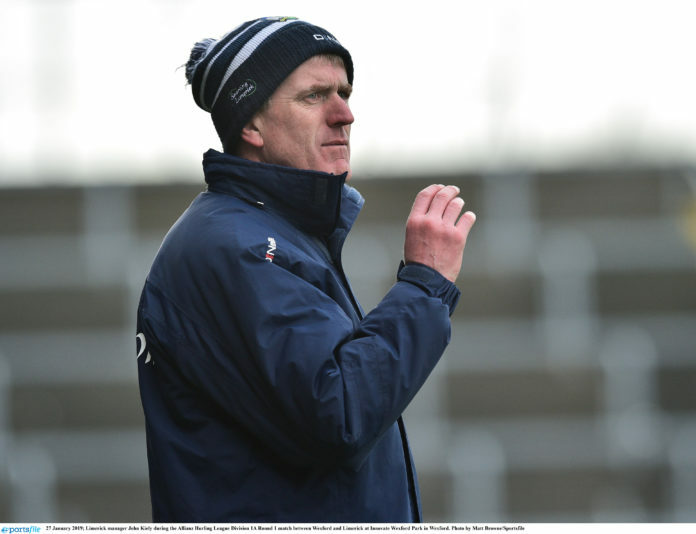 Limerick senior hurling manager John Kiely has made four changes to the team that beat Wexford in the Allianz Hurling League for Saturday’s game with Tipperary at the Gaelic Grounds. In to the team comes Darragh O’Donovan, Conor Boylan, Graeme Mulcahy and Kevin Downes. Cian Lynch, David Dempsey, Peter Casey drop to the bench, while Seamus Flanagan is suspended. It will be Boylan’s competitive debut for Limerick and for Na Piarsaigh teammate Kevin Downes it’s a chance to impress from the start after a long injury nightmare. Downes was on the bench for the All-Ireland semi final and final in 2018 but hasn’t played for Limerick since July 2016. Like the game against Wexford, there are 11 players that started last August’s All-Ireland Final victory over Galway. Limerick: Nickie Quaid; Tom Condon, Sean Finn, Richie English; Diarmaid Byrnes, Declan Hannon, Tom Morrissey; Darragh O’Donovan, Colin Ryan; Gearoid Hegarty, Tom Morrissey, Conor Boylan; Aaron Gillane, Kevin Downes, Graeme Mulcahy. Subs: Barry Hennessy, Peter Casey, Aaron Costello, David Dempsey, Robbie Hanley, Kyle Hayes, Cian Lynch, Barry Murphy, Michael O’Brien, Paddy O’Loughliln, Pat Ryan. The post Kiely makes four changes for league clash with Tipperary appeared first on Sporting Limerick.